Expect exceptional customer service like you have never experienced before. Our drive through facility offers no appointment necessary oil changes, and includes at no extra charge, vehicle alignment check, interior vacuum, floor mats washed, and a free car wash through our automatic wash facility. All in 29 minutes! 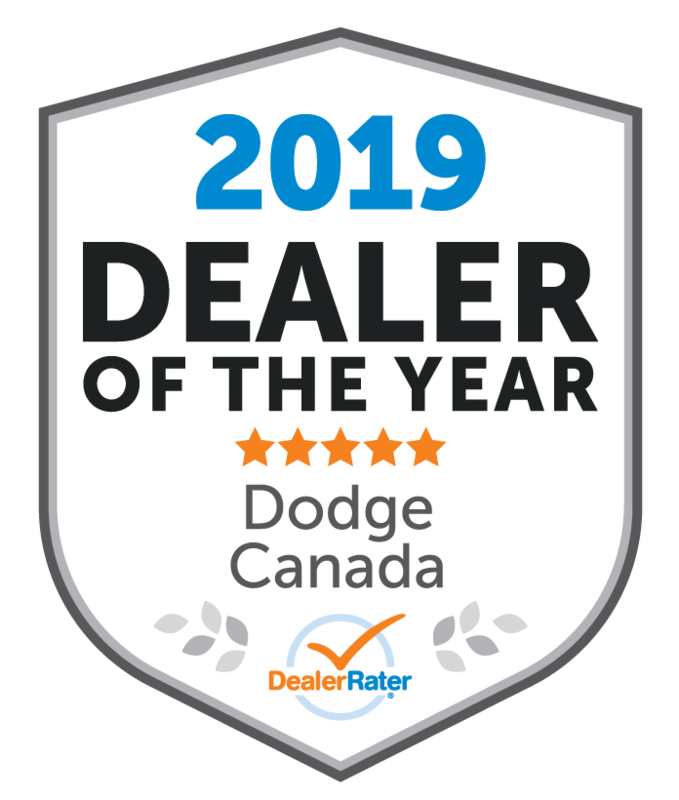 .We sell new Dodge, Jeep, Ram and Chrysler vehicles including the Ram 1500, Dodge Grand Caravan, Journey, Jeep Wrangler, Grand Cherokee, Chrysler Town & Country, 200 and 300, as well as a comprehensive array of used cars, trucks, crossovers and SUVs. Our courteous, experienced and professional staff is waiting to assist you. Browse the Eichenberg Chrysler new and used car inventory online, submit any applicable forms, then come in for a test drive and talk with us about our fantastic Tillsonburg area car loan and lease options. 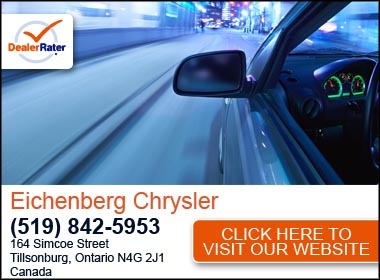 You can also request more information about any of our new or used vehicles, Dodge, Chrysler or Jeep auto parts, or auto repair and service in Tillsonburg, by using our contact us form or by calling 1-877-842-5953 The Eichenberg Chrysler CarFinder form is also convenient way to have us search for the vehicle you want. Submit it now, and we will contact you when we find the vehicle you have described! Our Tillsonburg, Ontario new and used car dealership is located at 164 Simcoe Street. We have served customers from Ingersoll, St Thomas, Simcoe, and all over the greater Tillsonburg area. Jake has sold us two vehicles within the last 6 months and both times we hit exactly what we wanted for the price we were expecting to pay. Easy purchase, easy finance arrangements and nothing we didn’t need or want. Perfect. "Thorough explanation of vehicle benefits. " Ann kamenar is an excellent saleswoman.. She never pressures you into a sale ever. This is the fifth vehicle we have purchased from her. She is extremely thorough with all the info required to purchase the vehicle. She also spent a lot of time showing us the electronics and the details of how the vehicle operates. 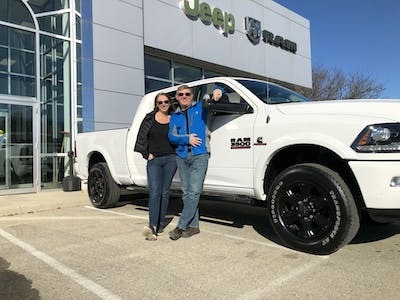 I found the perfect vehicle for me at Eichenberg Chrysler and they made it easy for me to purchase it. The sales people were great and everything was ready when I picked up my vehicle. 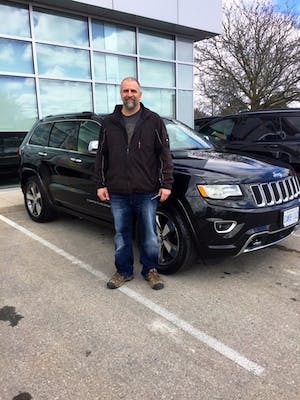 My salesman was Jake Loewen and he was great, thanks Jake for taking care of us so well Diane and Dan Windsor On. Jake was very friendly, knowledgeable and helpful. I didn't feel at all pressured while deciding on a vehicle. 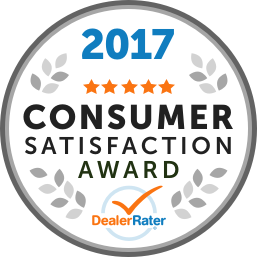 Everything was perfect when I picked up my new vehicle and all details/options of the car were thoroughly explained to me. An overall excellent experience! Anne is very friendly and very knowledgeable what she is selling. Always let's you know every detail. Eichenbergs always keeps me happy from sales to service. "Getting what we want at a great dealership." 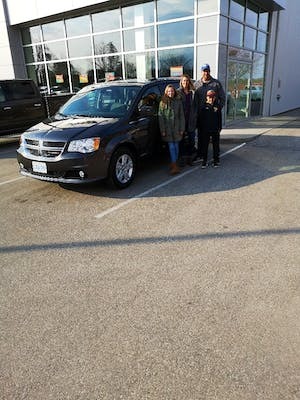 This was the best experience we've had buying a vehicle, and it was even better that it was local! Jake was great with the details and answered all our questions and then some. He was super friendly and easy to talk with. He found the truck we were looking for in no time. He made sure the truck was perfect the day we got to pick it up. We couldn't have asked for better! 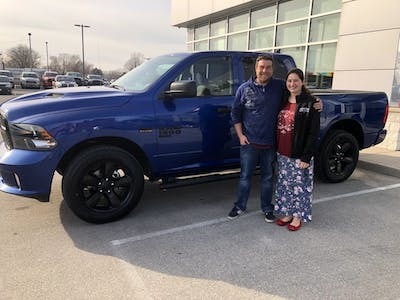 Thank you Jake and Eichenberg Chrysler! Nice newer dealership in Tilsonburg. 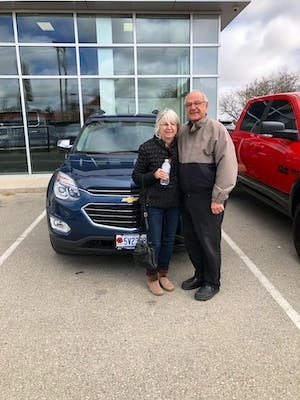 Bill was a great help with our trade in and new purchase. He made our decision quick and easy. No pressure sale. "Fast, simple and no headache"
I had been looking around for a Fiesta ST for a couple of months and finally bit the bullet and purchased one. It took me 2 other dealership's and multiple headaches to finally point me in the right direction of going to Eichenberg. 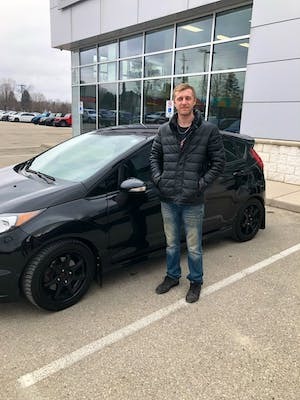 I dealt with Jake Loewen and he made the process fast, and simple without a headache like the other dealerships, and aswell as Greg Vermeersch for making the payments and loan getting approved in no time. I am very pleased with how everything went and i would recommend looking or buying from Eichenberg before anywhere else. I know i will be going back in the future and you should too! Thanks again for everything. Another satisfied customer. 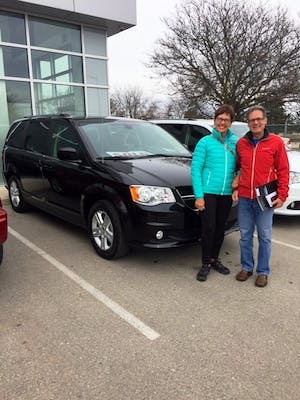 They helped me look for the vehicle I needed and got me into it and helped me throughout the step of purchasing it! 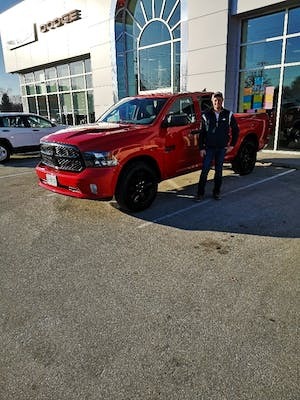 Highly recommend bill Locker as a sales rep for buying your new or used vechike definitely by far the best guy to deal with!